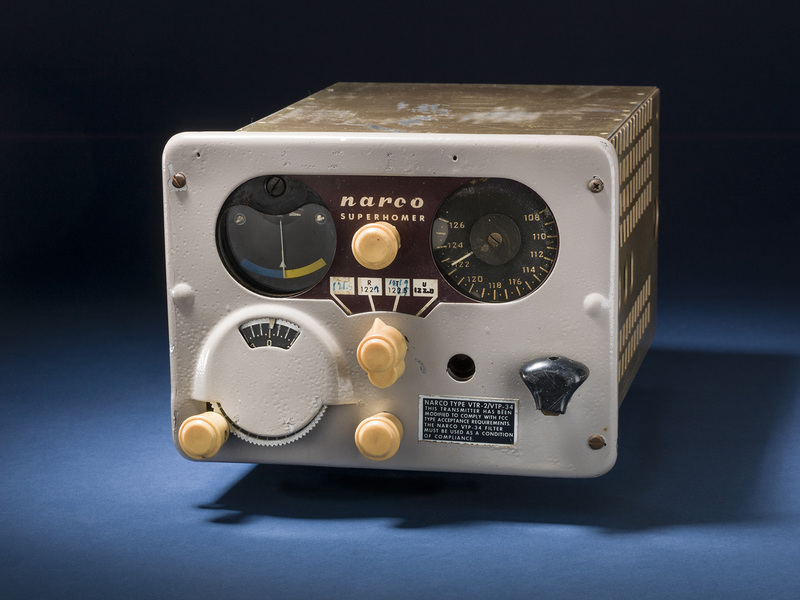 This mid-1950s era VOR receiver helped usher in a new era of all-weather navigation capability for light aircraft at moderate cost. After World War II, Very-high frequency Omni Range (VOR) technology merged highly accurate crystal oscillators (timers), based in remotely operated ground stations, with high-frequency transmissions. VORs were much more accurate, reliable, and easier to use than the earlier radio range system. This mid-1950s era VOR receiver helped usher in a new era of all-weather navigation capability for light aircraft at moderate cost. Origin: National Air and Space Museum, Smithsonian Institution.